Jazzanova Recording Studio (JRS) is a beautiful contemporary recording space in the heart of Berlin, offering truly high-end services and equipment to internationally acclaimed artists. JRS houses an array of classic analogue outboard, ornate instruments and high-quality microphones all tied together with a custom-made Neumann console. Those seeking to add the unique flavour of beautiful instruments and analogue processing with the flexibility of modern technology have a wealth of options available. 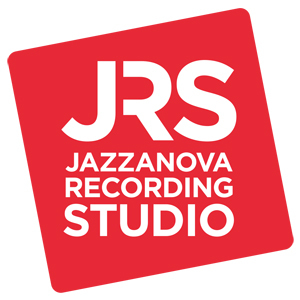 JRS offers the highest standards of recording, production and mixing services to artists at the forefront of the industry and has built a reputation amongst award-winning artists for its professionalism in the field. JRS aims to keep the creative decision-making process unhindered by technical complexity with experienced lead engineer Axel Reinemer (of production, composition, arrangement, remix and DJ collective Jazzanova) taking the helm of its Neumann console and vintage outboard to ensure that your audio is captured in the highest possible quality and coloured with the character that you want. JRS has worked with a variety of Grammy award-winning artists, pop superstars, leading jazz musicians and classical virtuosos. The flexibility of the studio makes it possible to fit just about any lineup or formation that you could imagine, so get in touch and request a quote for your project.